LAHORE: Punjab Environment Protection Department sealed 216 smoke emitting furnaces and other units after getting registered 86 FIRs at various police stations in the district during the current year. 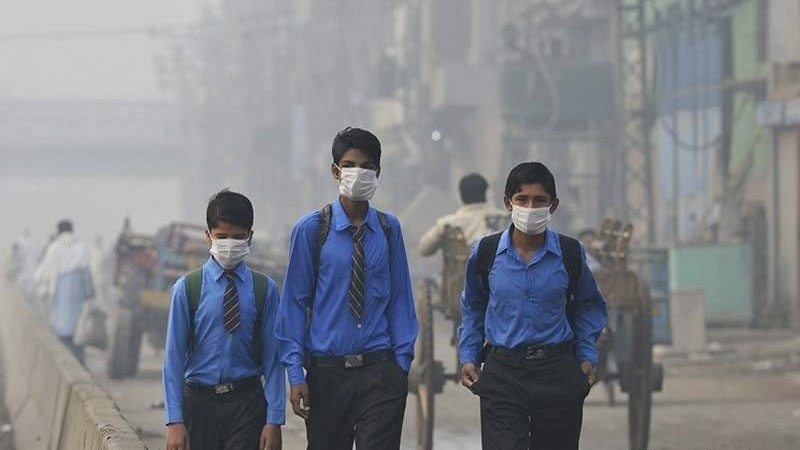 Talking to APP, Deputy Director, Punjab Environment Protection Department (PEPD), Misbah-ul-Haq Khan Lodhi said that directives had been issued to all steel melting furnaces and smoke-emitting factories located in various industrial zones of the city to control pollution. “To overcome industrial pollution and smog, the department had earlier directed 337 steel melting furnaces and industrial units to plant trees and plants,” he added. He said that special ‘Surveillance’ and inspection teams have started carrying out survey of smoke level in industrial estates of the nine town of the city. Misbah-ul-Haq Khan Lodhi further said that in the next stage, special cell would raid on re-rolling mills, tanneries, oil and ghee mills, marble cutting, polishing, pharmaceutical, galvanizing, metalwork and engineering units. He said the department has so far issued warnings to the owners of 91 brick kilns in Lahore district for using the conventional method at brick-kilns. Owners of these brick kilns have been directed to close their work by October 20, 2018, otherwise, strict action would be taken against them, he said. “A plan to establish ‘Technology Transfer Institute’ was underway which will help introduce the kiln owners to use environment-friendly and feasible technologies for baking bricks,” he said. To a question, Lodhi said this year, smog season is likely to be started from October 20, and will exist till the end of December. “During the smog season, all old and conventional industrial units will be closed strictly,” he added. The installation of new brick kiln had been banned he said and added a strategy would help promote zig-zag technology across the province. To another query, he said that on the direction of Punjab government, Punjab Forest Department, including all formations of environment department, were distributing free saplings among students, civil society and various organizations. All Pakistan Brick Kiln Association (APBKA) president Shoaib Khan Niazi told APP that due to lack of technical expertise, the association was still far behind to the new technology. He said in China, India, Nepal Bangladesh and some other countries, the zig-zag technology was running successfully at brick kilns. Niazi further said that twenty-five model zig-zag brick kilns would start working in Raja Jang (Kasur), Morh Khunda, Rawalpindi, Khanewal, Hafizabad, Gujranwala, Islamabad and many other areas of the province. According to the 2018 Global Climate Risk Index, released by the public policy group Germaneatch, Pakistan is among the ten countries affected the most by climate change.